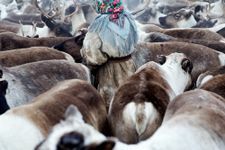 In the remote village of Yar-Sale in Northern Siberia, a settlement of former nomadic reindeer herders live together in communal isolation. 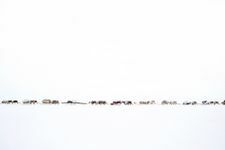 As time passes, the tundra’s harsh climate coupled with the physical consequences of aging impels many community members to settle down and give up their nomadic lifestyle. Predictably, this results in an unfortunate dissonance between the stationary individuals and their mobile community, further complicated by a palpable gender divide. Despite the universality of aging, the nomadic men are encouraged to continue their endless journeys, maintaining their social roles in their communities, while the women are pressured to settle down and face the struggles of old age alone. 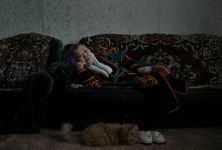 As a documentary photographer, Oded Wagenstein explores the relationship between aging, longing and memory across a number of poignant series. 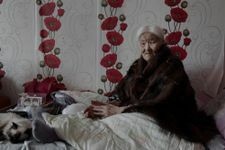 When he heard about the elderly individuals in Yar-Sale, he took an international flight to Moscow and a sixty-hour train ride to Siberia. 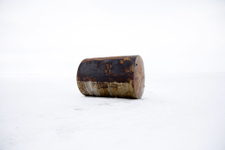 From there, he drove for seven hours across a frozen river to meet with members of the community, listening to their stories while photographing the landscape and citizens of the village. 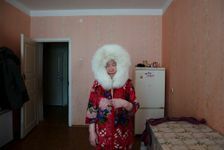 The resulting images make up his series Forgotten Like Last Year’s Snow, a melancholic account of the isolated lives of the elderly women in Yar-Sale. 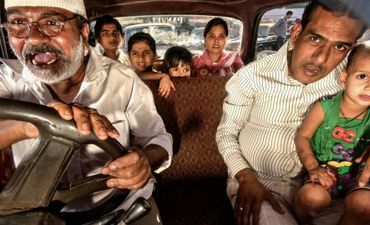 In this interview, Wagenstein speaks to LensCulture about the importance of mutual relationships in documentary photography, how his personal experience seeps into his images, and the inspiration behind his endless exploration of aging and memory. 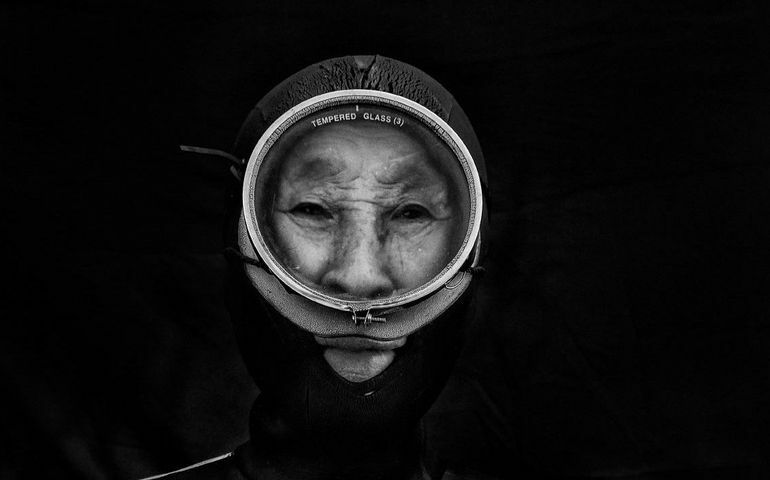 LensCulture: A lot of your past projects address the topic of aging. 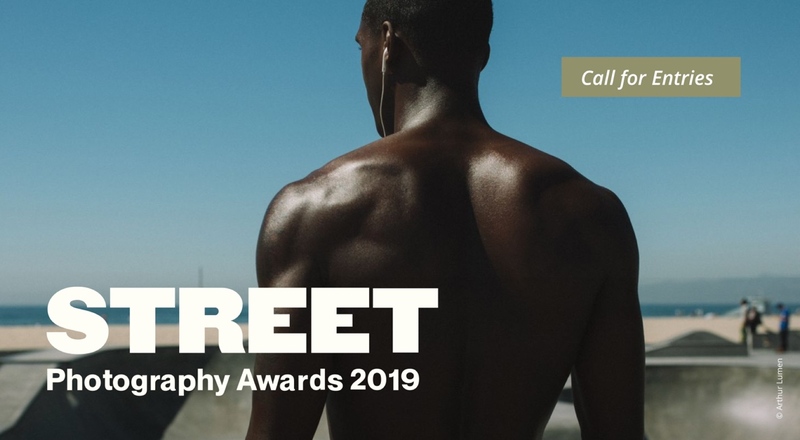 Why is this an important theme for you to return to, and what catalyzed your interest in using photography to explore it? Oded Wagenstein: After losing my grandfather, who was a major role model in my early life, I became both interested and frightened by the idea of aging. His departure left me with many unanswered questions: What were his dreams? How did he feel in his old age? Was he afraid of death? Not long after this, I discovered the power of photography. 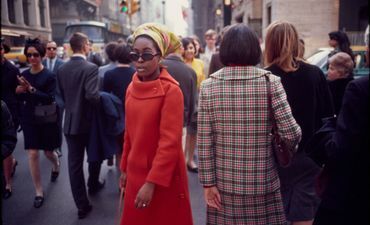 I was fascinated by ability of a photographic image to freeze time, thereby overcoming influence. Photography became a way for me to cope with and explore my fears. In my current work, I explore the themes of aging, longing and memory. 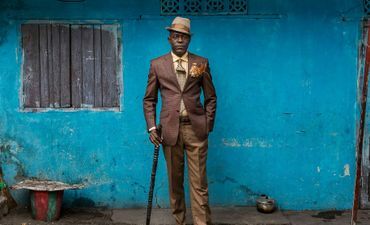 For the last five years, I have met elderly people in different communities around the world, listening to their stories, fears, longings and dreams, asking them my own unresolved questions about aging. I never formally studied photography – I taught myself through the work of others. 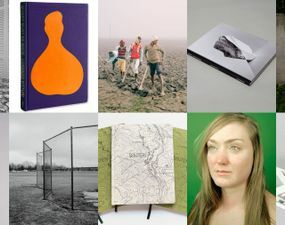 I have a huge collection of photography books, and I spend many hours each week online finding new and interesting visual voices, and this is crucial in the development of my own visual language. By learning about the work of others, you can craft your own visual voice. LC: What are you addressing in this work that distinguishes it from your previous projects about aging? OW: I always begin each project with a question, and for this project I asked myself: How does it feel to long for something that is gone, like your community or old home? While this is a universal issue, I was interested in exploring it through these previously-nomadic individuals who live in remoteness, where the concepts of home, community, and social roles are different from what I am used to. LC: What were your first impressions of Northern Siberia when you finally arrived? OW: My first days there were not easy. 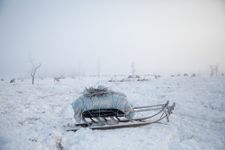 I remember Taka, an 80-year-old herder who was my host for the first night in the tundra, asked me, “Why the hell did you come here if you are both asthmatic and vegetarian?” A great question. While he was courteous enough to allow me to stay in his tent, he was also incredibly tough. 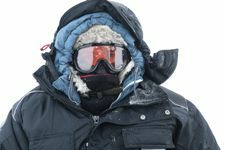 The temperature was -25°C and the tent was full of smoke, and as a Middle Easterner who had never experienced that side of the thermometer before, I started feeling like I had made a bad decision. But as rumors spread across the village about my arrival, the women warmly welcomed me into their homes and shared their stories with me – stories of a snowy landscape, long migrations, and lost parents and partners. LC: How did you find out about this community of women? OW: At first, I did not plan to focus on the story of these women. 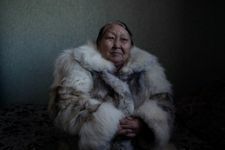 I was interested in elderly individuals who were once part of the nomadic Nenets, now living outside of their community. After several days of conversations within the village, I realized we were only speaking to women, and I started to think about why that might be. At first I thought it was because women lived longer, but I met men of the same age during my time in the tundra. I soon realized that men were encouraged to remain within the nomadic community and maintain their social roles, while the women were left to face the struggles of old age alone. 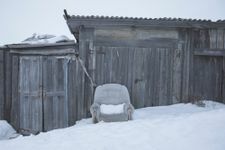 While life in the village might seem more comfortable than living as a migrating elder in the wild tundra, it is at the cost of great loneliness and seclusion. LC: Tell me a bit about your bond and friendship with the people you photographed. It seems to be an essential part of your work. OW: It’s important to note that you cannot just appear on someone’s doorstep and ask them for a story or photograph, especially in a community that is not accustomed to the presence of strangers. It’s essential and respectful to create a bond first. 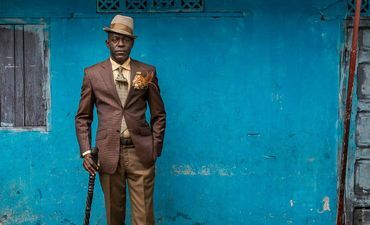 In general, I want to hear the stories of the people I photograph, and a conversation is not a justification for taking a picture – it’s the other way around. The camera is my reason for making connections and hearing exciting stories. In my work, the photos only take up a fraction of the time I spend with the people I am photographing. I hear their stories and share my own. LC: After spending so much time with them, how would you describe the daily lives of these women? 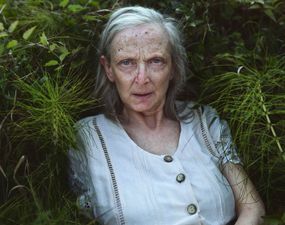 OW: While each woman has her own approach to life and aging, the answer to this question isn’t exactly optimistic. It’s essential to understand that in the past, each woman had a vital role in her community, and those roles have been stripped away. 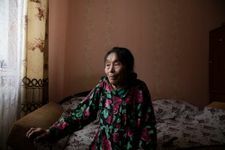 As a teenager, Liliya – one of the women I photographed – was the only one in her clan who knew how to read, so she read everyone’s letters and formal documents to them. But the importance of her reading skills to the group was also the reason her father prevented her from going to college, which caused great conflict between them. Now, more than forty years later, she still feels the weight of that conflict. This is a universal sentiment. I thought to myself about my own parents, and whether when I am Liliya’s age, I will also feel strong longing and regret when they are gone. 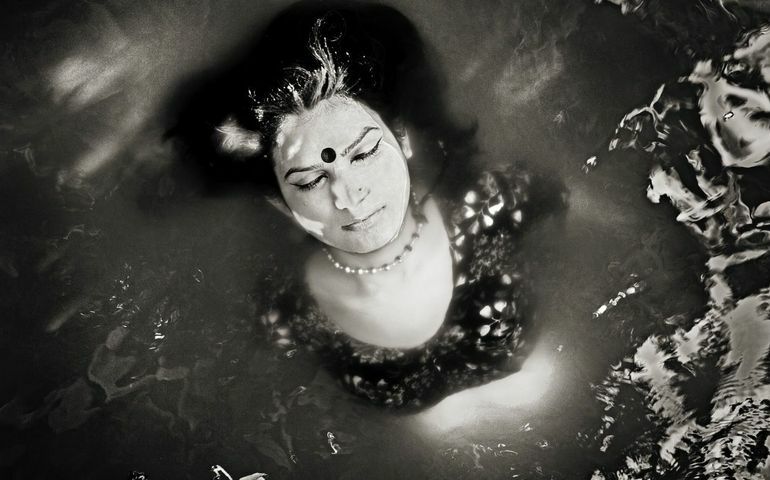 LC: The ambient light in these images contributes to these poetic themes you address in the series. Can you tell me a bit about how you make these photographs, and how this process contributes to the messages in your work? OW: My approach to equipment is very minimalistic. For years I have only been working with one lens (a Canon EF 24-70mm f2.8L II), and I solely work with natural light. In fact, with this story, it was the women who chose the locations for their portraits, thereby also selecting the lighting setting. My only request was that they bring an object from their past to be photographed with. This slow way of working with what I have allows me to focus on the thing I find most important: that moment where all the pieces come together to tell the story. 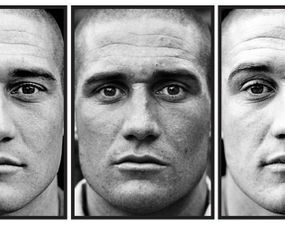 It can be the difference of an inch or a fraction of a second, or a head movement that causes light to fall in a certain way – a gaze or a gesture. Over time, by working slowly with minimal gear, I’ve developed an awareness of the moments where you get a brief glimpse into a person’s emotional situation. Autipana Audi (born.1941). 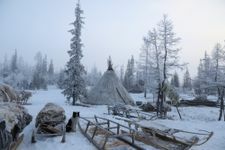 Yar-Sale village, Yamal Peninsula, Siberia, Russia. 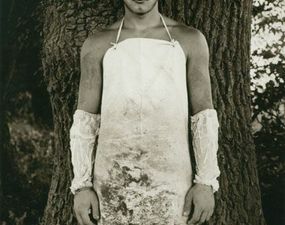 LC: Tell me a bit about the climate and how this affects your photographic process. 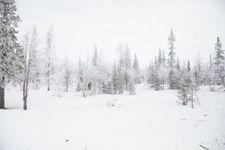 OW: Technically, the camera functioned quite well – I just had to keep the batteries warm in my pockets, and I wore many layers that made me look like a marshmallow. But it was difficult for me mentally. 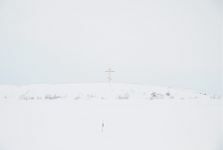 No matter how much you prepare for it, the cold is so powerful, and the stark landscape causes a lot of disorientation. I’m sure these feelings of detachment and loneliness somehow found their way into my work. With these personal projects, you’re on your own, and I find the impetus to keep working, even when doubts are rising, to be very important. LC: While the series includes striking portraits of these women, you also include poetic moments of pause and nostalgia, like the image of the photograph hung on a wall, or a barren landscape. Tell me about why it was important for you to bring all these bits together into a single series. How do you choose the images that best represent the story you are trying to tell? OW: I wanted to give the stories of these women a visual representation, but I didn’t want it to feel like reportage – I wanted it to be symbolic. So, I put together visuals that represent aspects of memory, home, migration, abandonment and seclusion. I also searched for things that bring together the outdoors with interiors, or the past and the present. 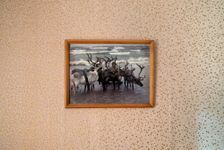 In particular, I believe the framed picture of the herder does both these things – it brings the outside, inside, and as a photograph itself, it represents something that happened in the past. 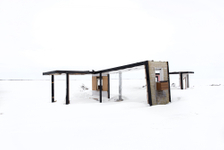 LC: The snow and barren landscape is its own character in these images. Tell me a bit about your experience with this landscape and its personality. OW: I’m so glad you mentioned that. I was trying to get out of my comfort zone of portrait photography, and this was one of the first times I created something that can be referred to as “landscape photography.” I wanted it to be a portrait without a person, maintaining a sense of character and its story as though it were a portrait itself. 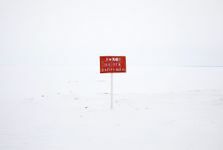 At the entrance to the tundra where the nomadic people migrate, there is a large red sign that says walking on the ice is forbidden. 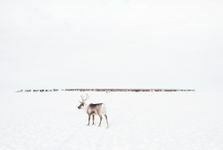 But for these women, this tundra is their true home, where they were born and subsequently wandered with their parents, reindeer, and other members of their community. But now, this home is only a memory, and as a memory it was important to present it as something that is inaccessible. It is home, but it is not necessarily a welcoming home, and it’s no longer a part of their lives. LC: Why is it important that you make this work, and why do you think it’s important for these women to be seen? OW: By creating this work, I hope that I am giving a visual representation to the stories and memories of these women I have met – one that lasts after they too have passed on. During the past few years, as I’ve spent more time working on the theme of aging, I’ve learned that it’s not necessarily about age itself. It’s about the sense of purpose and necessity we feel in our community. I believe that our society is too focused on younger generations, in both media coverage and the work force, and this overlooks the experience and unique voices of senior citizens. We forget that we all grow old, and as the body changes, memory fades, and a purpose and sense of belonging is sometimes all that matters. 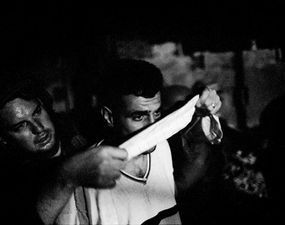 Photographer Oded Wagenstein during the work on this project. 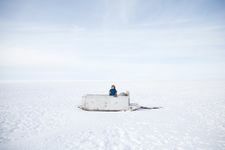 "The temperature was minus 25 degrees Celsius, and I had never experienced that side of the thermometer".